In the breaststrokes of Roger Deakin's Waterlog, this is the story of one man's search for himself across the breadth of Britain's wild waters. 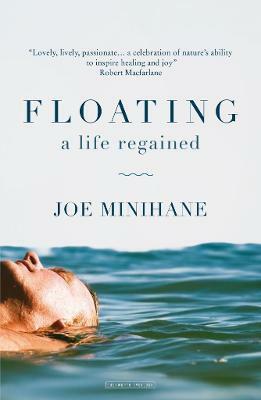 Joe Minihane became obsessed with wild swimming and the way it soothed his anxiety, developing a new-found passion by following the example of naturalist Deakin in his own swimming memoir. While fighting the currents - sometimes treading water Minihane swims to explore, to forget, to find the path back to himself through nature, and in the water under an open sky he finally begins to find his peace. Floating is a remarkable memoir about a love of swimming and a deep appreciation for the British countryside: it captures Minihane's struggle to understand himself, and the healing properties of wild stretches of water. From Hampstead to Yorkshire, Dorset to Jura, the Isles of Scilly to Wales, Minihane uses Waterlog to trace his own path by diving right in. Joe Minihane is a journalist based in Brighton. He trained at the Cardiff Journalism School and went on to work for a variety of lifestyle magazines in London before striking out on his own in 2009. He writes on a broad list of subjects for a wide variety of newspapers and magazines and this is his first book.